See. Explore. Learn. Discover how an eye exam can help your child succeed in the classroom, in sports, and in life. Learn why 20/20 vision isn't always enough. Kids should get their eyes examined every year. Having your child's eyes examined by an optometrist is one of the most important things a parent can do. People are visual in nature, and kids spend most of their time learning about the world around them through their eyes. that everyone sees the same way. Having perfect 20/20 visual acuity does not always mean perfect visual function. Children with excess farsightedness can see the Tim Horton's or McDonald's sign a mile away but often find reading books or working on the computer to be challenging and have problems concentrating on their homework. They may avoid reading activities or fall asleep after only 15 minutes of concentrated school work. recommends that all children receive an annual eye health examination. These eye exams are designed to test a child's visual system thoroughly and determine any weaknesses that need to be addressed during these crucial developmental years. Routine eye health examinations should commence no later than age 3, and ideally, we would like to see your kids by age 1. However, if you or your child's pediatrician has any concerns, please do not hesitate to bring your kids in sooner for their first eye exam. The Alberta Government in association with the Alberta Association of Optometrists has team up to launch a great program called Eye See... Eye Learn. This program was put in place to ensure that all children receive an eye health examination by an optometrist before entering Kindergarten. The Eye See... Eye Learn program was initially launched back in 2003 in the Elk Island Public Schools district but has since grown to cover the entire province of Alberta. The goal of the program is to ensure that all children have the visual capability to succeed in the academic environment. To reduce financial barriers for some families, the Alberta Association of Optometrists has teamed up with local area optical suppliers and its membership to provide one pair of eyeglasses at no cost to children in Kindergarten who require them. To take part in the Eye See...Eye Learn program, your child, must be enrolled in Kindergarten in a participating school division. You child is required to have an eye examination by an optometrist and have them complete the following form: Eye See...Eye Learn. Every year, October is children’s vision month across Canada, and the Canadian Association of Optometrists and the Alberta Association of Optometrists wants everyone to know the importance of comprehensive eye exams. 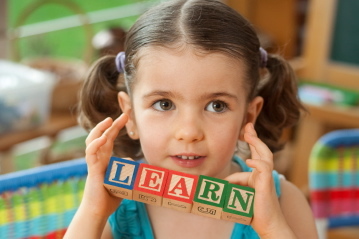 Approximately 1 in 6 children has a vision problem. The best way to check for vision problems is through a thorough eye examination by a Doctor of Optometry. Vision screenings are great for finding significant problems, but they can miss more subtle issues which may impact school learning. 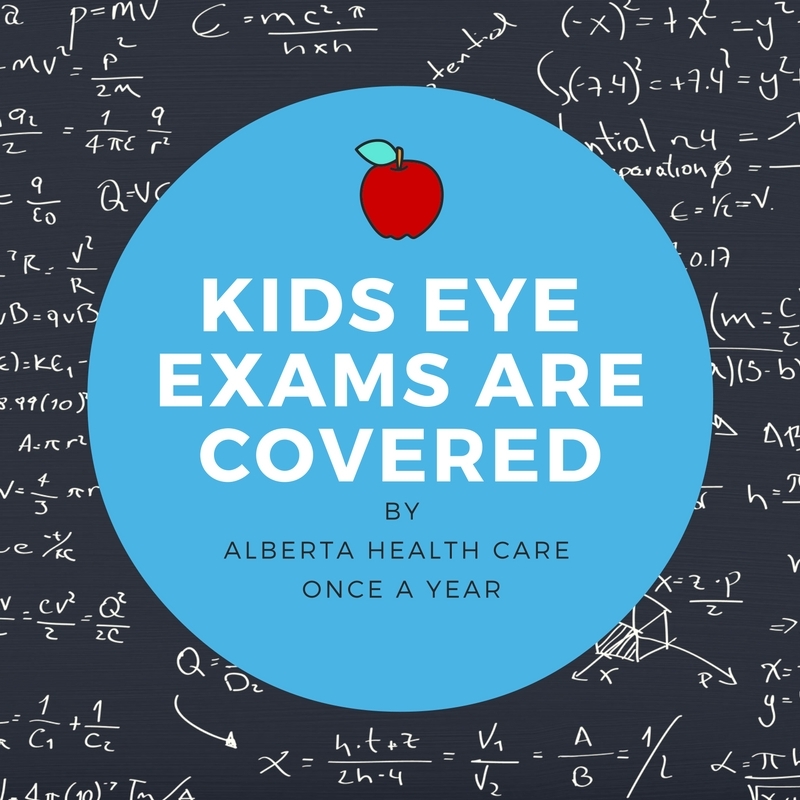 *Children are covered under Alberta Health Care for an eye exam every year by an optometrist. If a valid Alberta Health Care Card is not available, regular eye exam rates apply. If a child has already received an eye health exam within the July 1-June 30 billing cycle, they may not be covered and regular eye exam rates apply. If you have any questions or concerns, please ask the staff and they will try to answer your questions as best they can. Eye Fact: Like adults in Edmonton, children are covered for eye health emergencies such as pink eye, ocular injuries, or anything else your child may get into. Kids will be kids, and we would be happy to see them at a moments notice. Once again, you must accurately inform us of all previous exams that your child may have had.